The Resistance Chair Exercise System is the original Gym in a Chair and your answer to a comfortable and convenient solution to working out, building muscle strength, flexibility, and cardiovascular health. Most exercise systems are complicated, are hard to move, and require hours of assembly. The Resistance Chair is foldable and wheeled for easy storage, and is made of high-quality, commercial-grade materials. Click here to read more about the Resistance Chair. We've talked about the Gentle Rider bike and it's creation and deletion on the Resistance Chair Market. A lot of people we come across aren't ready to throw down just as much money for the Smooth Rider II Bike attachment that they did for the Resistance Chair Exercise System. That's fully understandable. There should be some clear steps to certain products. So, we've searched far and wide and come up with something very similar to the Smooth Rider but with a couple differences and at a lower price point so you can start working out your legs without breaking your wallet. Meet the Magneciser Pedal Exerciser Bike. The function, smoothness of the Smooth Rider Bike and the build quality are all the same. So, what are the differences then? It CAN be doubled as an upper body ergometer pedal exerciser - this is a really cool feature. 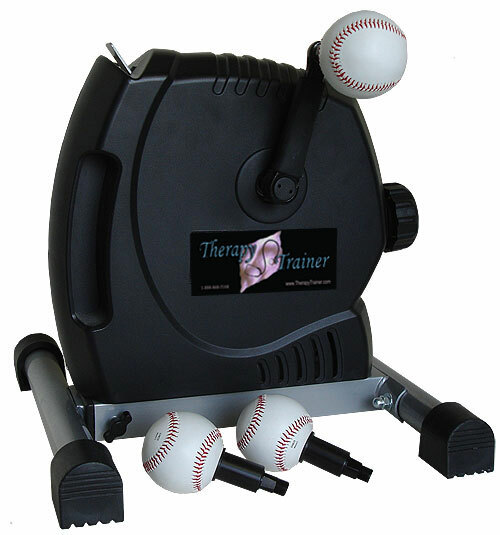 A lot of the ergometers such as the Therapy Trainer are getting very popular, so why not purchase the exact same thing and get two functions for half the price!? How much is the Magneciser Pedal Exerciser Bike? Be sure to check in soon about all the Fabrication Enterprise equipment going to be released on ResistanceChairGym.com! Exercise Bands, Hand Squeeze balls, a cheaper alternative to the Smooth Rider II Exercise Bike and so much more! Always Check Back for more medical guidelines from VQ! exercise therapy has been shown to be beneficial..
variability among patients depending on the cause. electrodiagnostic studies may be considered for further evaluation. (epidural) or may require surgical evaluation. strengthening and stability management approach for the treatment of low back pain. Always check back for more medical guideline information from VQ! of fractures and even falls. is a powerful tool in the reduction of fractures and falls. scan may also be done for further evaluation. program including strengthening, weightbearing and balance exercises. approach to this disease and ensuring maximal quality of life and independence. Upper body strength in your elder years is very important, especially when/if you have lower body ailments and problems decreasing your quality of life. Keeping you heart rate up, your stamina solid and your daily lifestyle active is a goal everyone over the age of 50+ should be striving for. We came across the Therapy Trainer HandCycle (Hand Peddle Exerciser) on the internet and was pretty impressed by its current feedback, the look of the quality, and that it's being used by the San Fransisco 49'ers. The Therapy Trainer uses magnetic resistance to give you a smooth workout much like the Smooth Rider for your lower body. You can also use the Therapy Trainer for your legs, which is a lower resistance and an introduction-like workout if you don't want to use the Smooth Rider II Bike attachment. We plan on having this type of product in our store soon. A lot of people have been asking about an introductory lower body workout, this is smaller, lighter, but also has a fair amount of limitations including now Row bar and lower resistance than the Smooth Rider at a cheaper price. The Therapy Trainer is a big thumbs up by ResistanceChairGym.com and we're hoping this product takes off so you can see it as well possibly on national television commercials down the road. The company is currently trying to promote this to certain teams in the MLB for their upper body conditioning; mostly for the pitching staff. The Therapy Trainer uses resistance to give you results, upper body workouts, and puddles of sweat from all the weight you've lost and muscle mass you've gained. Check out ResistanceChairGym.com for more information on this product and so many others by following this blog daily! The following information is cited from VQ's manifest when it comes to elbow pain, the symptoms, the management, and the exercises you can do to prevent and improve/heal it with the resistance chair exercise system! We'll be posting more of these "medical protocols and guidelines" from VQ Actioncare down the road so you can read and follow the steps to each series of injury improvement with the Resistance Chair. Elbow Pain - you can follow the different exercise for elbow pain here with the Resistance Chair Exercise System. be treated successfully with a proper exercise and stretching program. extension of the wrist. Certain activities and/or sports may also cause painful elbow flares. Swelling of the elbow region and loss of full range of motion can result is some patients. performed for further evaluation if necessary but are usually not needed. stimulation), modification of exacerbating activities, and a specific rehabilitation program. to heal. One example of a brace is the forearm band which may be helpful in some patients. steroid injection (epidural) or may require surgical evaluation. component of elbow pain treatment and prevention. activity modifications is important in preventing recurrences. Check out the exercises for elbow pain, using the Resistance Chair, HERE! The following information has been taken from VQ Actioncare in regard to shoulder and/or rotatorcuff injury and the use of the Resistance Chair. Please look for additional injury series blogs following this one soon. You can also see the exercises for these specific injuries here while using the Resistance Chair Exercise System and it's accessories. We here at ResistanceChairGym.com want to provide you with all the information possible to help you with your journey into a healthier, happier you using the Resistance Chair! with proper stretching when necessary. blade to tilt forward, exacerbating the impingement. Pain in the front, top and/or side of the shoulder and upper arm. Increased pain with raising the arm overhead. Pain increased with lifting or reaching behind your back. Tenderness over the upper outside part of the shoulder. Decreased strength if left untreated. Pain at night impairing sleep when lying on the affected arm. A physician may diagnose this condition based on one’s symptoms and clinical exam. may be indicated when conservative treatment fails. balances the rotator cuff musculature for proper shoulder stabilization. ears and make sure to breathe continuously through exercises. New Resistance Chair Gentle Peddler Coming Soon! It so happens that we like to take the proper steps to helping you find the best possible fitness and health solution to any and all your problems. Here at ResistanceChairGym.com we want to find the best products and offer you, the customer, the best in any accessories or related products that you can use with your Resistance Chair Exericse System. Way back when there was the Gentle Rider Bike Attachment, but unfortunately, the manufacturer made the call that it wasn't up to par for what they wanted to provide to their customers; and we agree 110%. Now, we're on a mission to find the best low-impact, introductory bike peddler we can find, so we can offer it to you to use with the Resistance Chair! The Gentle Peddler Bike Attachment will be about providing customers who already own the chair with an introductory cycling system without having to fully commit to the Smooth Rider II Bike Attachment. Now, don't misunderstand, the Smooth Rider is the creme le creme of bike attachments, but we also like to offer baby steps to those who just got out of surgery or really need help in taking it slow with muscle deteriation or joint problems. We always like to keep our customers in the loop, and we also like to keep updating the products we sell to our customers. Senior health and fitness is a #1 priority for us, so be sure to check back to ResistanceChairGym.com frequently so you can see all the new products we'll be coming out with to sell in the near future! Leg injuries, hip problems, and ankle pain can be...well, a pain. The Smooth Rider II Bike Attachment is a perfect coupling for the Resistance Chair Exercise System. Lightweight, portable, and virtually frictionless, the Smooth Rider using reverse contact magnetism to provide a smooth, non-cranking feel. The Smooth Rider attaches to the chair and has a built in front lateral row bar to help you work your pectorals, upper back, arms, shoulders, and even neck muscles. The cycle comes with a set of level 5 anchor resistance cables but can easily be switched out with any other level cable (sold separately). Any of these are reasons you should start working out to improve your overall health, whether you buy the Smooth Rider II Bike Attachment or not. The bike has had ample reviews with nothing but positive feedback and a less than 2% return rate on all purchases of any Resistance Chair Exercise System product. What's even better is we've waived the shipping to help you help yourself. Why not start improving your health? Let's get things done with the Smooth Rider II Bike Attachment. UPDATE: The Smooth Rider is backordered until the end of March, but pre-order it now to get in line and get the free shipping! The workout industry is constantly changing so, here at ResistanceChairGym.com we have to constantly change with it. We spotted the ball exercise chair on a couple of infomercials and online ads and thought to check it out. It seems that this product is starting to gain headway especially in the departments of fitness and workout with the appropriated age groups. The Ball Chair Exercise System is actually by Gaiam and has taken off since they started the campaign. The Ball Exercise Chair is simple, it's a workout ball in a chair on wheels with resistance bands. Eerily simliar to that of the Resistance Chair Exercise System, the ball chair is said to have great reviews and becoming really popular. The Gaiam Ball exercise chair might be coming to the ResistanceChairGym.com if we can get something set up; which is looking to be a good possibility. There's not much accessories with the chair, and it's not going to tempt a lot of people that come to this site, but then again why not be a little up on the trends and offer something some people are looking for. The chair is designed by chiropractors and is for better posture and core strength. We'll keep you posted on what the news is on this chair and when exactly we'd get it.